I had so much fun at the San Antonio Blogger Meet Up Wednesday. Angela Watson from Cornerstone for Teachers and Denise Boehm from Sunny Days in Second Grade were here for ISTE, so some of the local folks met with them for dinner at Mi Tierra. It is so much fun to put faces and voices to names and blogs. Ashley's sweet mom, who doesn't have a blog - yet! Reagan's husband and sweet son were also with us, but declined to appear on camera - in fact, Reagan's son took this picture! 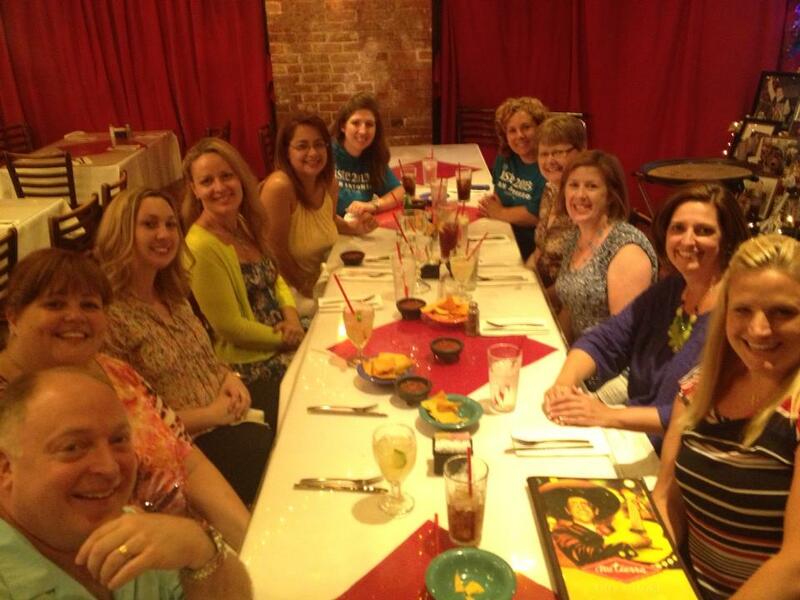 We enjoyed margaritas, food, and talk about the conference, blogging, Teachers Pay Teachers, networking, and so much more. Keep your eyes open for news of a meet up near you and go. I promise you won't feel out of place, no matter where you are on your blogging journey. P.S. Starting Monday, if you have been reading my blog through Google Reader, you won't be able to do so any longer. Many bloggers are switching over to Blog Lovin' as a new reader. There's a link in the top right column if you'd like to continue reading me there. You are awesome!!! I may just have to steal all those blog links you did! I want to have them in my post! It was so great to meet you! Steal away! It was great to see you, too! Your son is too cute! So jealous! I sooo wanted to come! Glad y'all had fun! I am your newest follower! Your blog is adorable! I am so sad - I can't believe that I live right outside San Antonio and missed this! Looks like a great meet-up and lots of fun! Maybe next time!